Kateys Diary: In the Waterfront with Nolan. In the Waterfront with Nolan. 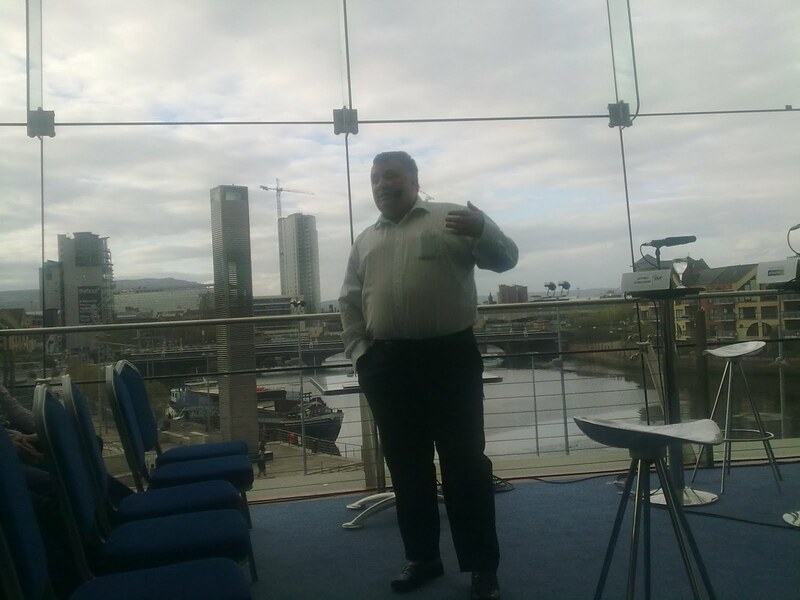 We went to the Stephen Nolan show special last night hosted in the Waterfront Hall, Belfast. There was an extremely good cross section of people there from all walks of life, from first time voters to pensioners. After tea and refreshemnts, a fair range of questions was then put to candidates. Most of us got a question in, there was plenty of staff on, and mikes were floating about and everybody got the chance to say their piece. We even got treated to a little too much information on Stephen Nolan's trousers, and how he could not get them zipped up fully so he had some tape holding up the zip as the fat was pushing down on it. Yep its true, and the guy really does need to shed some of it, he is far too heavy. The show goes out on Friday morning at the usual time, and whether anyone else finds it enjoyable or not the event was certainly entertaining. The politicians there were Jeffrey Donaldson,Mike Nesbitt, John O'Dowd,Stephen Agnew,Alistair McDonnell, Gerry Lynch and David Vance.